Graded VG 40 by SGC. This is the ONLY example graded at this level by SGC with just one higher. 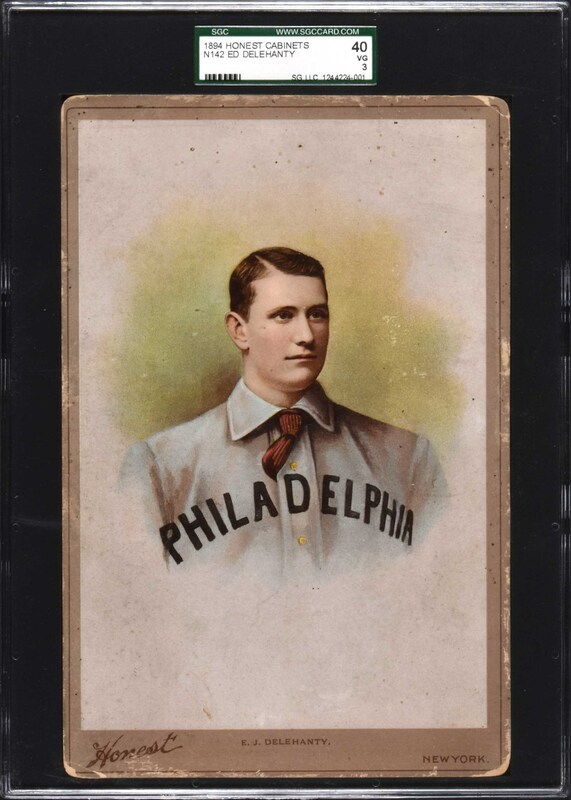 The N142 Duke Cabinet is perhaps the most impressive card ever produced of Hall of Famer Ed Delahanty, one of the nineteenth century's greatest stars. It is rare to find any N142 in such extraordinary high grade, let alone Ed Delahanty. There are only four baseball players in this set, which was issued in 1894 by Duke's Honest Tobacco. Each Duke cabinet measures 6 x 9 inches, making this set one of the largest and most impressive of all baseball-card issues. Since the earliest days of organized collecting, Duke cabinets have always been revered by collectors. Even in the 1930s, Jefferson Burdick assigned them a value of $5 each, making them the highest-priced baseball-card issue in the entire American Card Catalog. This was back when the T206 Wagner listed for $50. The cabinet has moderate corner and edge wear, and flawless bright colors. 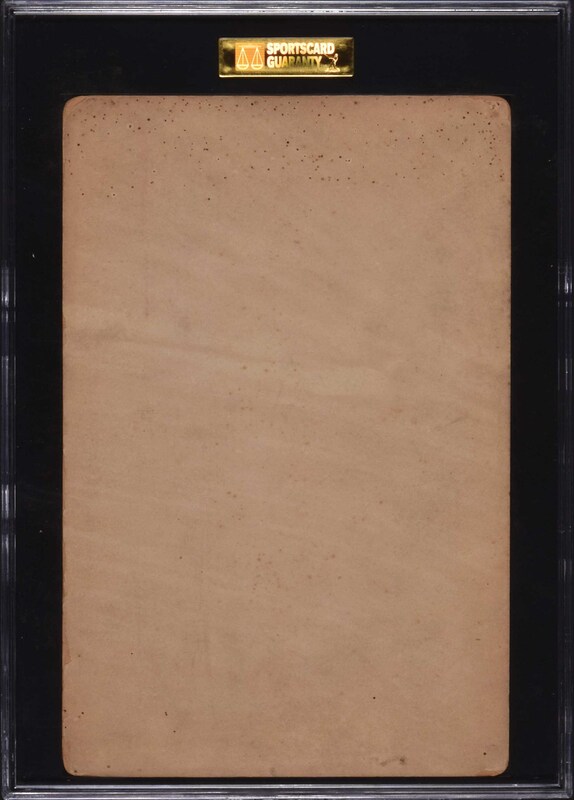 There are several areas of light staining above the portrait and on the blank reverse. The image of Delahanty is bold and crisp. There are very few cards of Delahanty, as his career spanned the years 1888 to 1903. While he does appear in the N172 Old Judge series, the heart of his career was in the 1890s, a decade during which very few baseball card sets were issued. This is a very attractive example of what is arguably the most majestic and striking of all Ed Delahanty cards. Reserve $2,500. Estimate (open).